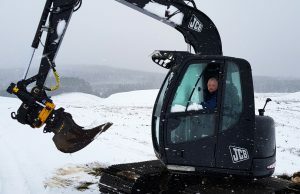 Scotland’s main Engcon dealer, JCC Group has supplied and fitted Engcon‘s EC209 tiltrotator to hill farmer John Chambers‘ 7 tonne JCB JZ70 lgp excavator bringing enormous benefits in productivity and environmental impact. 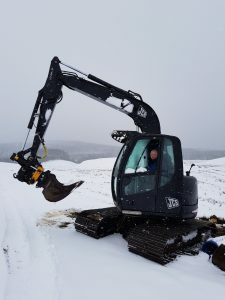 “I‘m a farmer,“ explains John Chambers, “and I invested in my tiltrotator, mainly for digging open drainage on our hill farm. A great deal of my land is very soft, with peat, and it’s very unstable underfoot. That‘s why I decided to invest in a tiltrotator. I’m mostly in situations where just doing one pass with the machine is best. 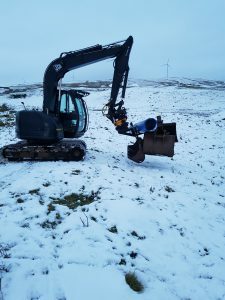 I need to be static, yet still able to use my excavator and Engcon tools to their full potential, to dig the drains to the correct levels and dress off any spoil without any excessive manoeuvring with the machine. “I also have a post chapper which originally worked off its own tilt ram, but had no rotate. Now, due to Engcon, it has, and it’s given me far greater potential and use for it. I also use the forks as another add on, which has been amazing combined with my tiltrotator. I can put pallets and other objects in places I never thought possible! 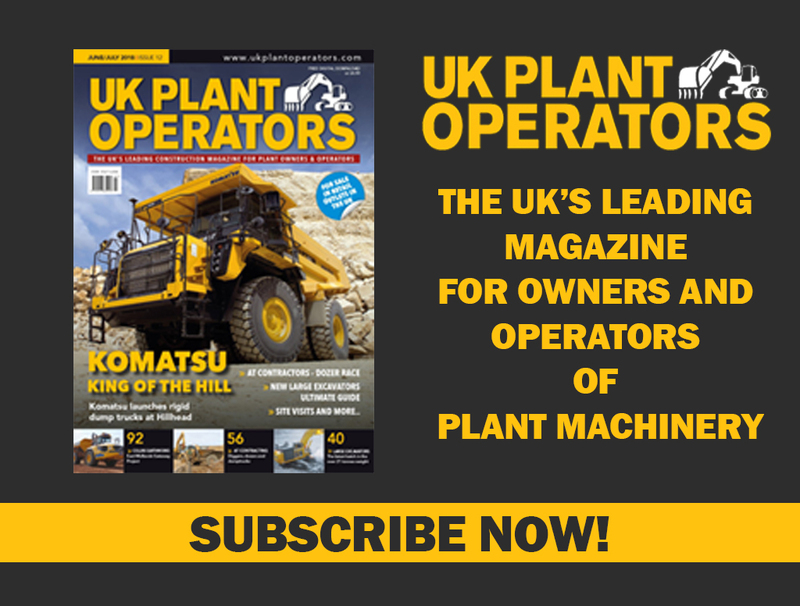 Robert Hunt, Managing Director of Engcon UK commented: “This has been a sound investment for John, enabling him to use his time far more productively.